We’re proud of our longstanding relationships with public sector organisations, energy companies, social and private landlords, estate agents and the construction industry. Our extensive experience working with clients and partners across these sectors stretches to all areas of the UK. Click on the links to see some of our selected clients and partners. By installing energy efficiency measures, landlords can improve the Energy Performance Certificate rating and desirability of their housing stock for future residents whilst ensuring that tenants are warm, comfortable and paying less for their energy. In early 2013, the Government’s new domestic energy efficiency programme for major energy suppliers was launched. With the rising cost of energy business owners are beginning to think about how much their inefficient buildings and appliances are costing them in wasted energy. 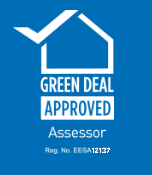 Estate Agents, Solicitors and Registered Social Landlords commission Energy Performance Certificates and Floor plans as part of the marketing process.